Disney's adaptation of the beloved children's book "A Wrinkle in Time" got my attention. 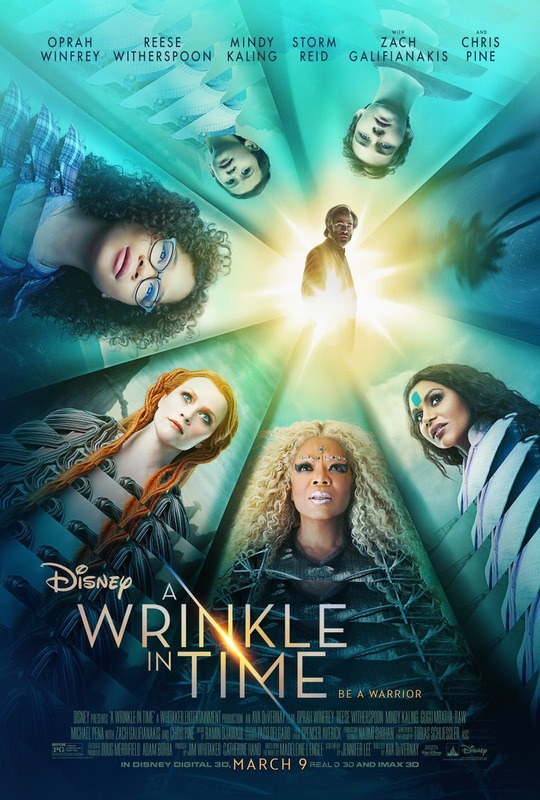 Rated PG with a starry cast including Oprah, "A Wrinkle in Time" looked like the kind of family movie that would dominate box office for weeks to come. I'm afraid I suffer from unmet expectations. Chris Pine plays a scientist father who disappears into the universe. His children search for him four years after his disappearance with the help of three otherworldly beings led by Oprah. Their journey is colorful, psychedelic, and sometimes frightening but rarely understandable. In spite of good intentions, sometimes a book just doesn't translate to film. Some may like "A Wrinkle in Time," but most will scratch their heads. I pity mothers and fathers who take their youngsters and expect them to sit through this. "A Wrinkle in Time," rated PG, 2 stars. Does it deliver what it promises? Not quite. Is it entertaining? Slow and hard to follow. Is it worth the price of admission? Only for lovers of the book, and from what I saw at the preview screening, even some of them will be disappointed.